From one branch to another, Monkey Medias rolls out its skills in order to develop your marketing strategy. From the design to its execution, on paper or throughout the web, in French or in English, let us guide you through the shortcuts of the economic jungle to increase your chances of becoming its king! 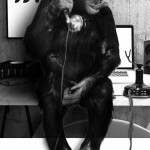 Flexibility: Listening to your unique needs, Monkey Medias adapts to the complexity of your market in order to offer solutions that combine creativity and ingenuity. Agility: Monkey Medias’ diverse and high-quality services, 2 essential tools to have in the economic jungle, will exceed expectations. Swiftness: Monkey Medias’ extraordinary reflexes will perfectly suit your needs, including in emergency situations, because we all know trouble can appear without notice in the economic jungle.